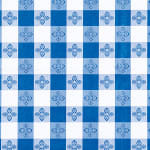 The TBCS-52B tablecloth from Winco has a blue and white checkered pattern. The top layer is made out of a durable PVC material, making it resilient and easy to keep clean. The back is made with a layer of soft flannel that helps keep it in place. 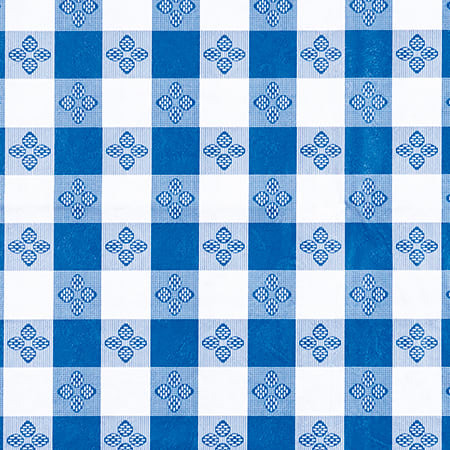 This tablecloth is square, measuring 52 inches wide and long.